When messing around with HTML5 and its <video> I had it working great in IE9 on my machine using the H.264 codec. I then had some of my coworkers attempt to view my .html file which I had hosted in IIS on my machine. Everyone could view the page but the video player only showed up for one guy. I was baffled and started on a wild goose chase trying to figure out what was different between my machine, the one that worked and all the other machines. Finally I started comparing the HTML being displayed in each IE9 browser using the Developer Tools (these can be accessed easily by pressing F12). In the 2 browsers that showed the video, the HTML looked totally correct. In the others the <video> tag was closed prematurely and the <!DOCTYPE html> tag at the top was a comment instead of valid HTML. Then I noticed what the issue was. 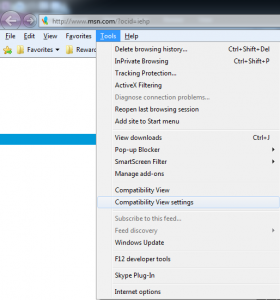 My page was being shown in IE9 Compatibility View which doesn’t support HTML5, which totally explained the weird behavior. 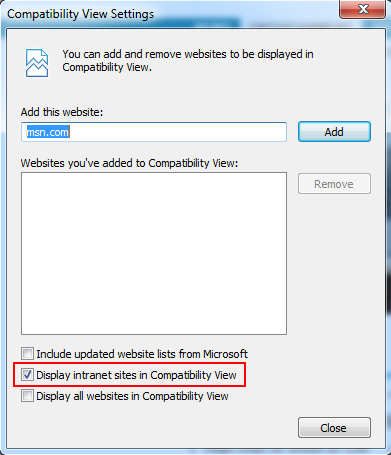 It turns out that the default settings in IE9 are to view all intranet sites in Compatibility View. This seems totally backwards to me as a developer as I am usually dealing with the latest and greatest (which Compatibility View is not). 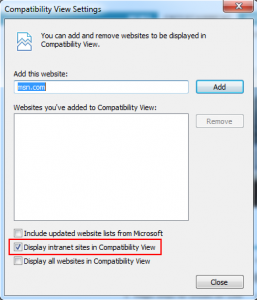 To change this press alt, then choose Tools, select Compatibility View settings, and then uncheck Display intranet sites in Compatibility View. 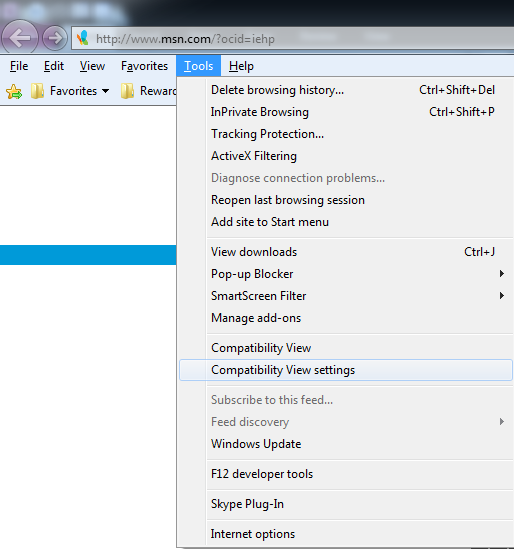 With this change on everyone’s machines they can now all view the HTML5 video hosted in my IIS.